Featuring our newly installed synthetic turf designed specifically for dogs! Not only is it soft and durable for the comfort of our guests but the antibacterial and antimicrobial properties along with our disinfecting regimen help us keep our play yards clean and sanitized. Help your dog beat the boredom blues, while you're at work bring your dogs in to play! 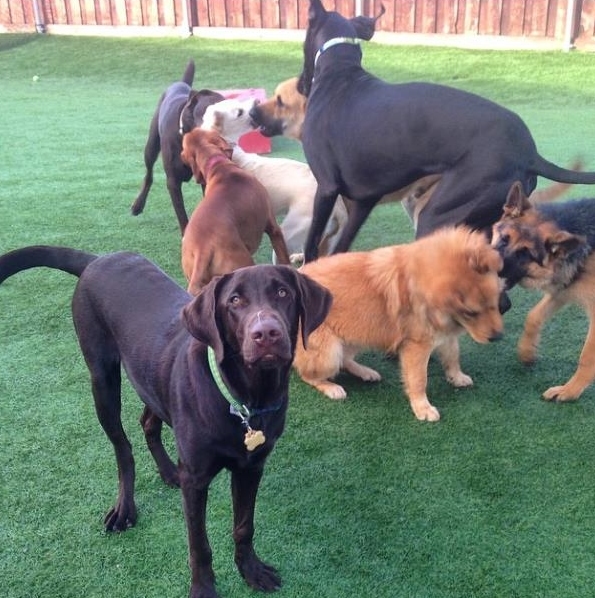 We provide interactive dog daycare with a large secure fenced yard for your dog to play with others! The daycare groups are separated based on size, personality, and age. Our dog daycare staff strive at making sure your pet has a blast while here, and go home tired and happy! A tired dog is a GOOD dog. Give your dog the gift of physical AND mental stimulation. Take the worry out of scheduled lawn service, pool service and utility meter readers possibly leaving gates left open or unlocked. Does your dog need some extra socialization around new people or other dogs? Call us we can help! 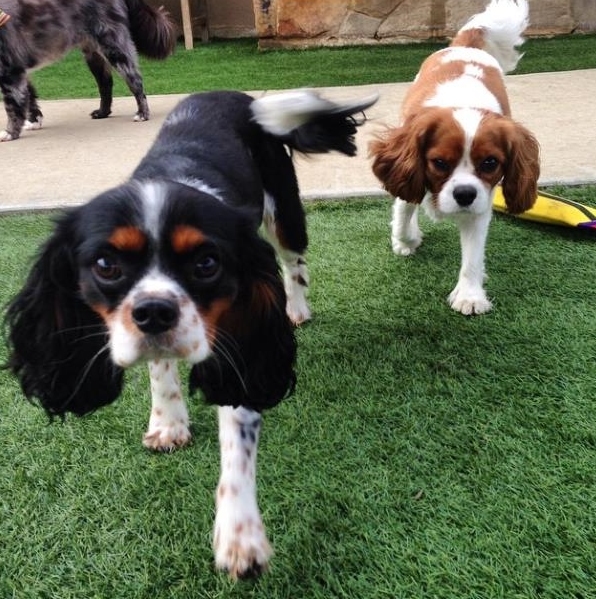 Contact us today at 817-478-8000 to get more information about our dog daycare or come in anytime for a tour!